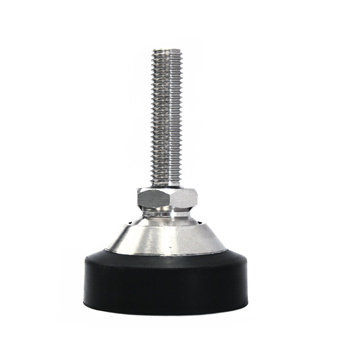 Nickel-plated steel articulated feet with non-slip rubber. Suitable for creating 4-cell platforms. Extremely compact and simple to install. SBFA Nickel-plated steel articulated foot, with M12 thread. For Shear Beam load cells with capacity up to 2000kg. To combine with BLKM12I bush.